We call this one bedroom cabin the "Honeymoon" cabin. 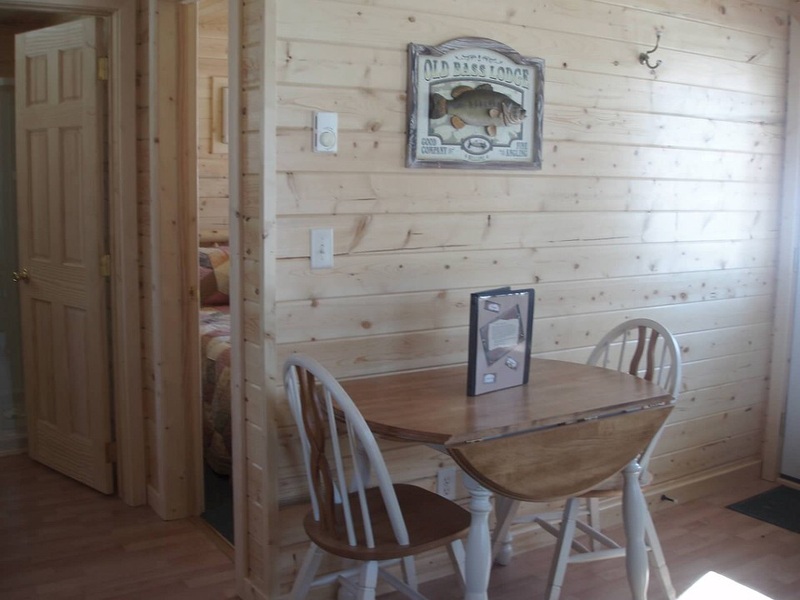 It offers a queen bed, knotty pine bathroom, large picture window, deck and air conditioning. Cabin 2 has a hide-a-bed to accommodate two additional people. 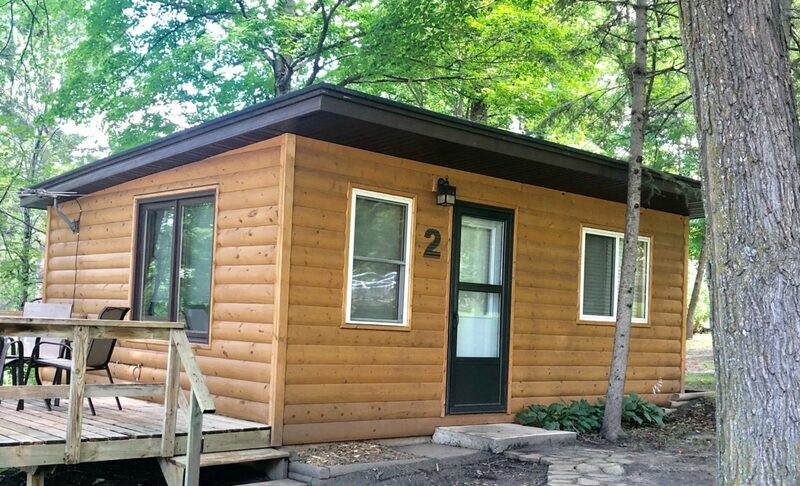 This is the perfect Cabin for the couple or small family that doesn't want to settle for anything less than the best! 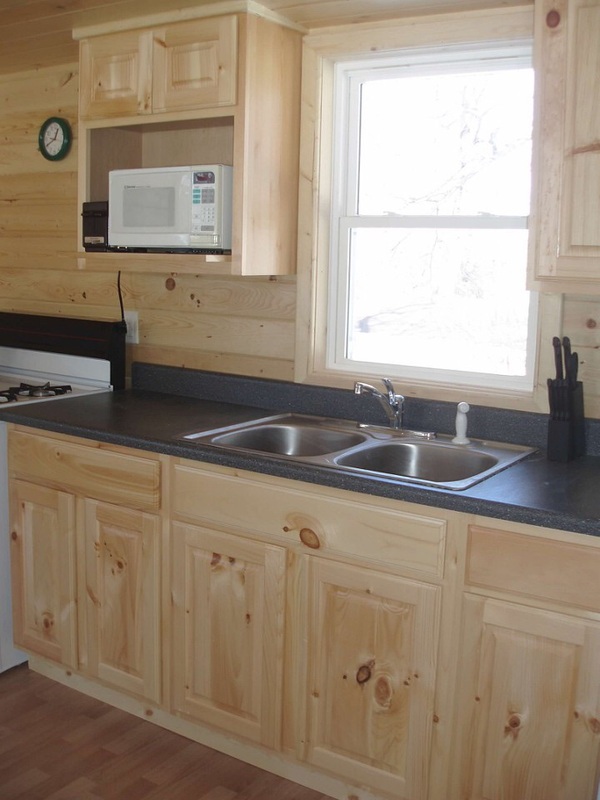 Cabin 2 includes a thoughtfully equipped kitchen with a microwave, automatic coffee maker, wine glasses and cooking utensils. Dine at the table that can expand to accommodate up to 4 people or enjoy the outdoors dining on your deck or under the canopy of trees. Relax in the living room where you will enjoy the large picture window. Maybe hop out to the deck to enjoy the sunshine. We call this the honeymoon cabin because it is perfect for a romantic get away. 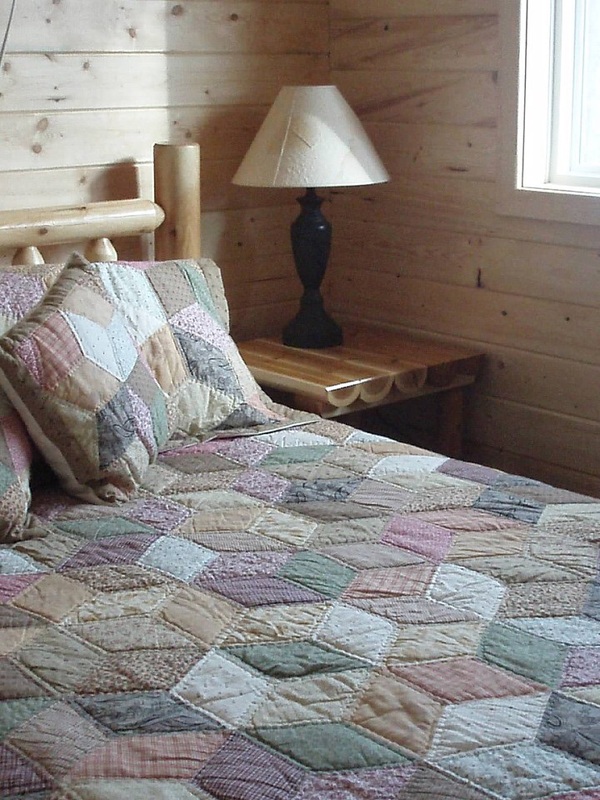 This one bedroom cabin offers a queen sized bed and air conditioning. If you would prefer to bring up to two additional people, there is a hide-a-bed in the living room. A tastefully decorated bathroom finished in knotty pine.